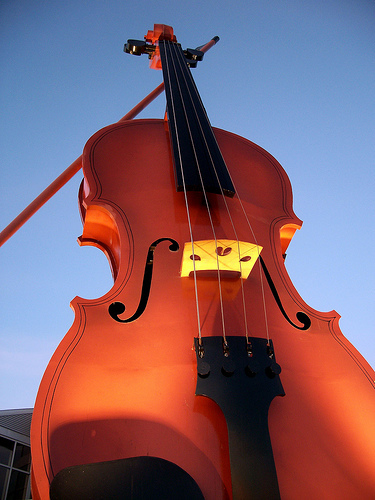 features the worlds largest fiddle, fabricated by local Cape Breton artisans from steel ,and stands some 60 feet tall. The Big Fiddle is an iconic welcoming monument honoring our diverse "Celtic" roots and our rich musical heritage. Open exclusively on every cruise ship day, our Big Fiddle Market is an easy walk from your on-board ship cabin, or the downtown boardwalk. Tartans are dear to the hearts of Nova Scotian's and Cape Bretoner's alike. The Cape Breton Tartan colour scheme was derived from a 1907 poem by Lillian Crewe Walsh.